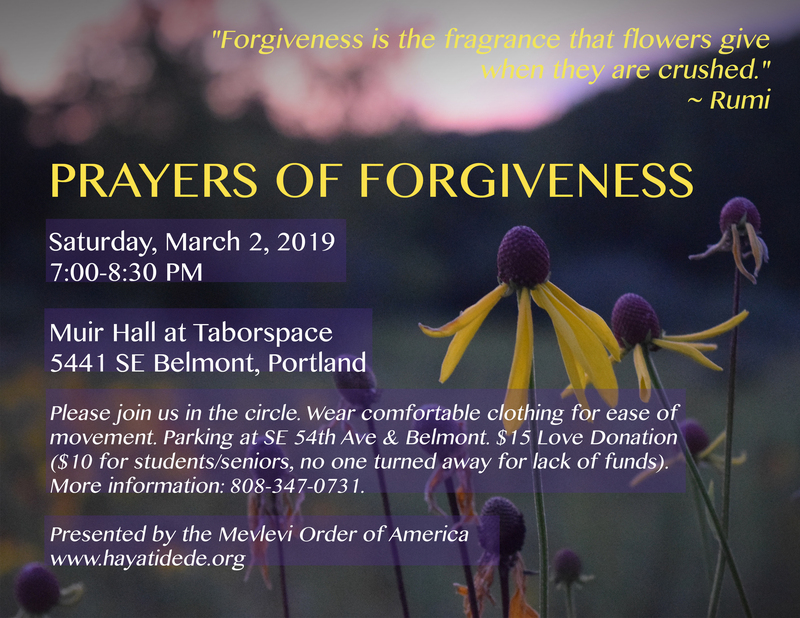 Saturday, March 2, 2019, 7-8:30 p.m.
A moving meditation practice of prayer using synchronized chanting, music, and movement. We invoke specific spiritual energies through sound and intention. The meditation is intended to be a spiritually healing prayer experience as we ask for forgiveness for every breath we have taken without remembering the divine unity of this reality. We sing, whirl, and dance together in prayer to help each other polish our hearts, clarify our minds, and remember the ways we are intimately connected to God. If you are unable to stand in the circle or engage in the physical movements, know you can still fully participate by simply sitting and being present with us.